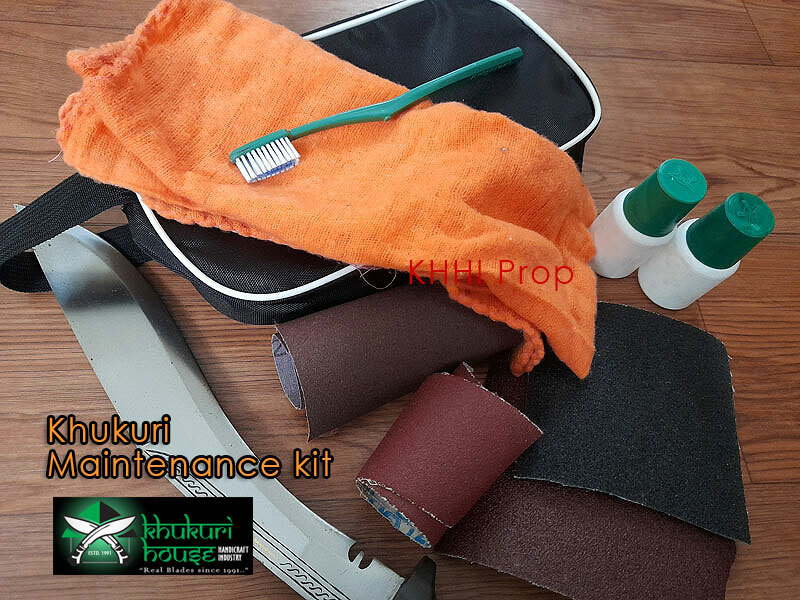 Foldable wooden display stand and maintenance tool-kit for your kukri.. This double rack mounted kukri display stand is completely handmade crafted using only conventional-domestic tools. It is made from treated wood called Ashna, famously known in Nepal as “Seesau”. The process of making a single stand is very slow and laborious. It is as time consuming as making a Khukuri taking almost a complete day to finish a single piece. All stands are made in Kathmandu where skill craftsmen work around the clock to give quality and quantity. All stands are foldable (hands come apart) so that they can be carried and transported very easily. They are also completely break-free since they can be swiftly dismantled. The upper pair of hands (arch) is designed to hold the scabbard and lower pair for the blade as shown in the pic. 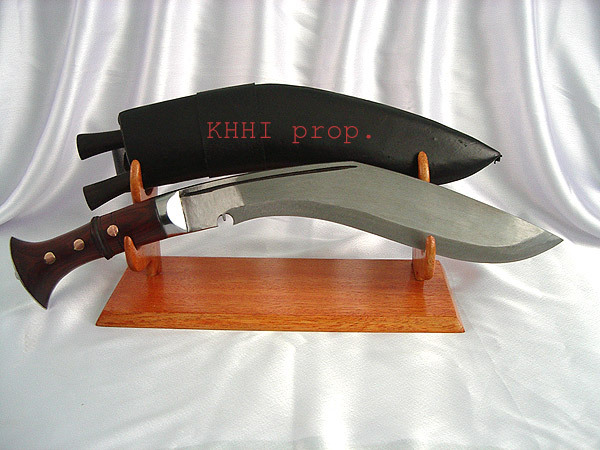 Its a must for those who want to display their khukuri to décor their space. This stand is designed completely different than other ones available in the market. KHHI invents a new style that is beautiful and complete in itself, cost effective, light and very easy to pack. Two vertical holders with rounded edge (contours) are joined to one another by an “I” shaped wooden piece at base. A pair of screw is used to fasten the wooden piece that can be unscrewed to dismantle the whole stand so that it becomes completely flat. Beautiful natural wooden color is used to give a soothing and suitable look. 1 x rust remover sandpaper. Notice: Please be aware that because of security concerns and air aviation laws, lubricants mentioned above are not actually included in their containers. You can simply fill in with your local products once it’s delivered to you. We deeply apologize for any inconvenience caused by this. Use any kind of oil for the wood once a month or whenever necessary. Using any kind/form of wood polisher is also suggested to prolong the life span of the wood as it will keep the wood particles fresh and healthy. Dismantle the wooden stand, oil it and nicely wrap it (no dust can reach) if you have to store for a long time.